Our poetry news roundup today takes a look at the overall winner of The Costa Book Award. We also bring you the poet nominated for the NBCC Award and the poet who is to be remembered with a commemorative fountain pen. Last night saw the winner of the Costa Book of the year being announced at the awards ceremony in London. The shortlist for the prize was made up of the winners of each of the categories that make up the Costa Book awards – Novel, Biography, First Novel, Poetry and Children’s Novel. The winners of each of these individual categories were announced in November last year. 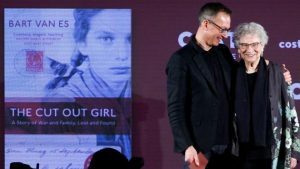 The overall winner of this year’s award was Bart van Es for his biography about a Jewish girl that his grandparents sheltered in World War Two. The Cut-Out Girl was awarded the £30,000 prize in a ceremony that was attended by Lien de Jong the girl in the book. The overall winner last year was Inside the Wave, the final poetry collection of the late poet Helen Dunmore. The five finalists for the 2019 National Book Critics Circle (NBCC) have been announced. 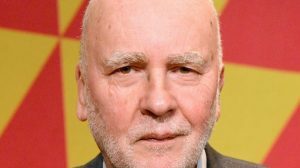 Adam Zagajewski, the Polish novelist and poet has been nominated for his collection of poems “Asymmetry”. The volume was published in 2014 in Poland and has been since translated to English. Born in 1945 somewhere in Lwow, Poland (which is now Lviv in the Ukraine) the poet and his family resettled within Poland at the end of World War Two. Zagajewski’s works were in 1975 banned. he was an opponent of the communist government of his country and signed a letter against amendments to their constitution referred to as Letter of 59. Zagajewski writes on the themes of history, infinity, silence, death and dreams. 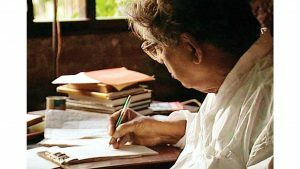 Kaifi Azmi, the legendary poet-lyricist and social activist, is to be celebrated with a global initiative that will promote writing with the humble fountain pen. The poet had a particular love for the fountain pen, especially those made by Mont Blanc, and was often teased by his daughter that although he was a communist, he owned 18 pens made by the company. The India Pen Show, which is in its inaugural year, will be launching a limited edition that will number just 100 fountain pens as a tribute to the century of the poet. They will be launched on 2nd February and will be on display with inks in 150 colours. Such was the poet’s love of the fountain pen that even after he suffered a stroke he still tried to take care of his pens on his own, although his daughter had to take over the cleaning and filling of them in the end. He also found a “fountain pen” hospital in America where he sent them for regular maintenance! You must register to comment. Log in or Register.